Looks can certainly be deceiving. The word ‘Fischer’, for example, may be German for ‘fisherman’. But the company of the same name that has developed its presence both within Luxembourg and beyond the border over the past century actually operates successfully in the bakery and patisserie sector. 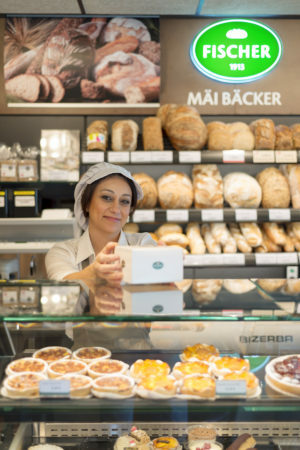 The story behind the company, which combines elements of tradition with modernity, began in the north of the country, in Diekirch, when Eugène and Marguerite Fischer opened their very first bakery in 1913. Conditions at the time were certainly not conducive to the development of a new business, but despite the outbreak of World War I the following year, the business would survive thanks to Eugène’s strength and determination, pulling a cart around the neighbouring towns to keep his customers in supplies. Once peace had been restored the business started to really thrive, opening its first shops outside of Luxembourg’s borders in Wallendorf and Bollendorf and acquiring its first machines (one to knead dough, in 1925, followed by a steam oven in 1930) to support the growth of the company, in which Eugène’s son Joe was by now playing an active role. 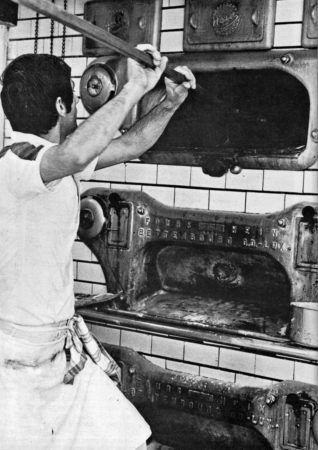 In the wake of World War II, with part of the family having been deported and all their possessions confiscated by the German authorities, business soon picked up again, with Joe, having qualified as a master baker, taking over the family business in 1954. At this point the Fischer brand started to expand and diversify its activities to include the buyout and modernisation of bakeries in the neighbouring town of Gilsdorf, among other things. Panelux, born of the union between Boulangerie Industrielle de Gilsdorf S.A. and Fapral (Fabrique de Produits Alimentaires S.A.), was created in the mid-60s. 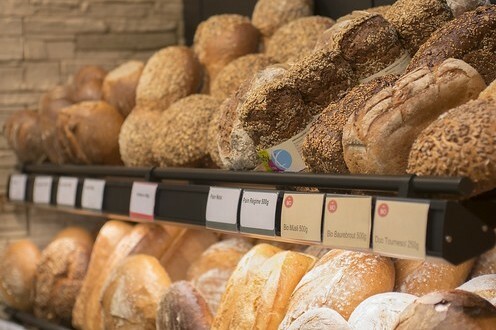 The Panelux group now encompasses the ‘fresh’ and ‘frozen’ product manufacturing and distribution activities whilst Boulangerie Fischer (to which Panelux is the supplier) oversees the management of all of the shops and specialises in the retail element. The 70s would also mark the start of Fischer’s geographical expansion, with new subsidiaries, new rounds and the opening of sales outlets in supermarkets. In 1980, the bakery decided that innovation was the way forward and introduced the freezing process into its production method, thus expanding the area in which it could distribute its products, meaning that they could now be exported to Belgium and Germany. Innovation was again very much at the forefront of activities when the group’s three production sites amalgamated, in 1992, to form a single 6-hectare site in Roodt/Syre. It would go on to become one of the most modern bakeries in Europe, where the artisan authenticity of the goods produced (Fischer makes its own leavening agent and lots of products are still handmade) is supported by innovative production methods. Following a series of extensions and modernisations, the site has more than doubled its production capacity in the space of 25 years and now handles up to 50 tons of flour a day, as well as helping to increase the group’s export activity. Fischer currently has some 70 sales outlets (including nine in France) and is run by Carole Muller, whilst Patrick Muller and Emmanuel Emringer run Panelux. The two entities now employ some 900 people. The vast majority of Panelux’s production activity (70%) and turnover (55%) is generated through frozen products produced to be exported all over Europe on behalf of clients operating primarily in the catering but also the mass distribution sectors. Fischer, for its part, is focusing on developing new sales outlets based on the franchise model, with the first of these having opened in Thionville in 2016.